The United Arab Emirates are one of the richest and emerging states in the globe. Good economic situation and high quality of living appeals a lot of expats and overseas investors studying the international markets to purchase property. Abu Dhabi and Dubai are very popular with potential buyers and investors in property. Abu Dhabi is the capital of the UAE and attracts interest of foreigners who desire to live and do their businesses in the Middle East. Dubai strengthens its position of tourist and business hub not only in the Middle East region but in the whole world. Expats usually buy the UAE property with the purpose of having their own house or apartment to live in it. International investors want to get good revenues from their investment in property. Why buyers and investors choose the UAE property? As it was mentioned the UAE property especially in Dubai and Abu Dhabi is in a great demand. The interest of residents and foreign investors generates with some external reasons. 1. 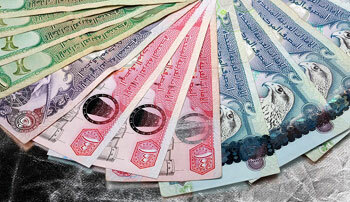 Property value in the UAE is lower than in the major property markets in the world. Property consultant Knight Frank announces that despite of sustained growth of prices buying property in Dubai is more lucrative than in any big city in the world. 2. All real estate units in the Emirates are sold as key-ready to operate. After getting all the paperwork done a buyer of a house or an apartment can live there at once. So, an investor purchasing commercial property can be sure that he manages to rent a completely furnished and well-equipped office. 3. The main advantage for foreign investors and expats is tax-free system. The citizens of foreign countries are exempted from any taxes including property tax. 4. The region attracts a lot of holidaymakers as well as business tourists. Holidaymakers like tourist attractions, summer weather, and shopping centers. Businessmen consider the Emirates as a perfect platform for partnership between Asian and European companies.